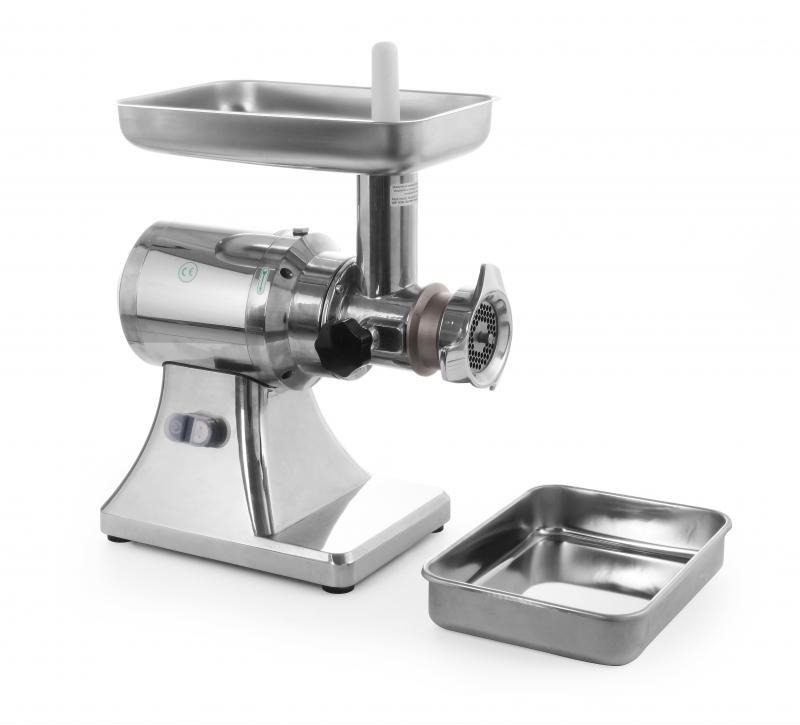 High-quality professional device for grinding all kinds of skinless and boneless meat. Worm screw made of a special aluminium alloy. Body, hopper and meat container made of stainless steel. Oil bathed gears (for smooth and extra quiet operation). Mincing disc diameter: 82 mm, holes: Ø 6 mm.